Nonnina - Chicago | A Sub Shop. A Velvety Lounge. River North. Go. A Sub Shop. A Velvety Lounge. River North. Go. A sub shop to your right. An updated 1950s-style dining room to your left. 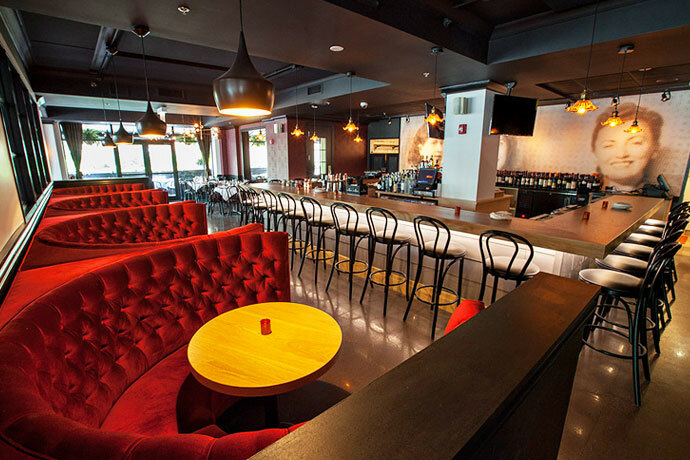 A velvety lounge straight ahead. Ah, yes. 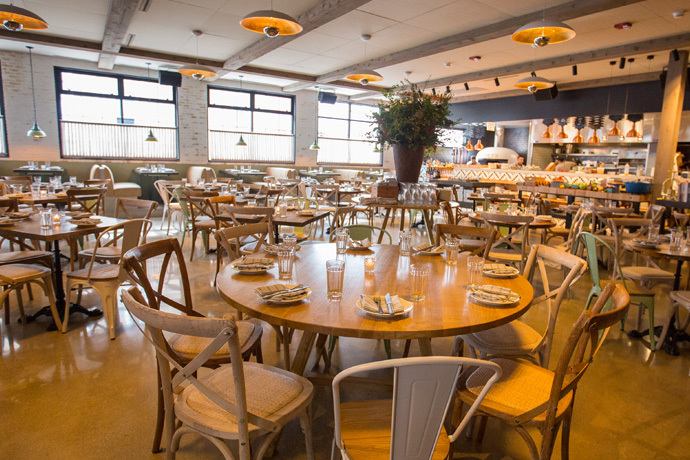 It would appear that Nonnina—the just-opened total revamp, re-concept, re-everything of Piccolo Sogno Due—has you surrounded. Now, please stay calm as we equip you with an arsenal of facts designed to help you navigate this overwhelmingly Italian predicament. First, a general note about the food. The Piccolo Sogno folks enlisted a new chef to create a new menu inspired by grandma-approved recipes. The result: meatballs for lunch, pancetta-topped bucatini carbonara for dinner and wood-fired baked clams for whenever you want wood-fired baked clams. Sure, it’s still an airy, white-tablecloth situation at its core. But now, they’ve upped the handsome retro vibe with a semiprivate dining room, modern-looking portraits of the owner’s grandmother and the like. Velvet semicircular booths. White bean pizza. A few classic drinks. You. Your date. Textbook River North. It’s your new spot for to-go steak sandwiches, prosciutto-and-buffalo-mozzarella paninis and other Italian comestibles. Do slideshows count as a fact?